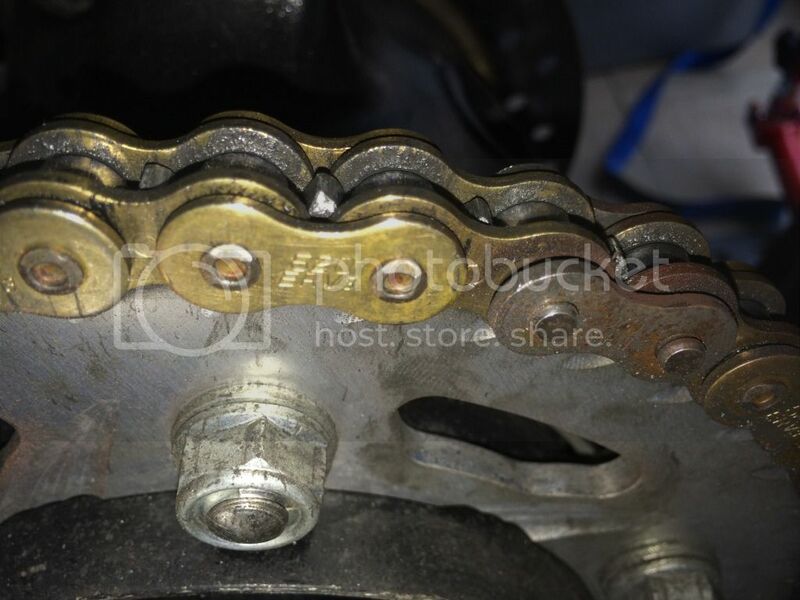 I just replaced the master link in my chain and I thought I would share the procedure. It is pretty simple if you just take your time. Step one: Remove old master link. My old master link was a clip style. While going over my bike a few days ago I noticed that the clip was missing. This is why it is a good idea to go over your bike on a regular basis. Mine was really easy to remove since it was already loose. I just used a screw drier and pried it apart. 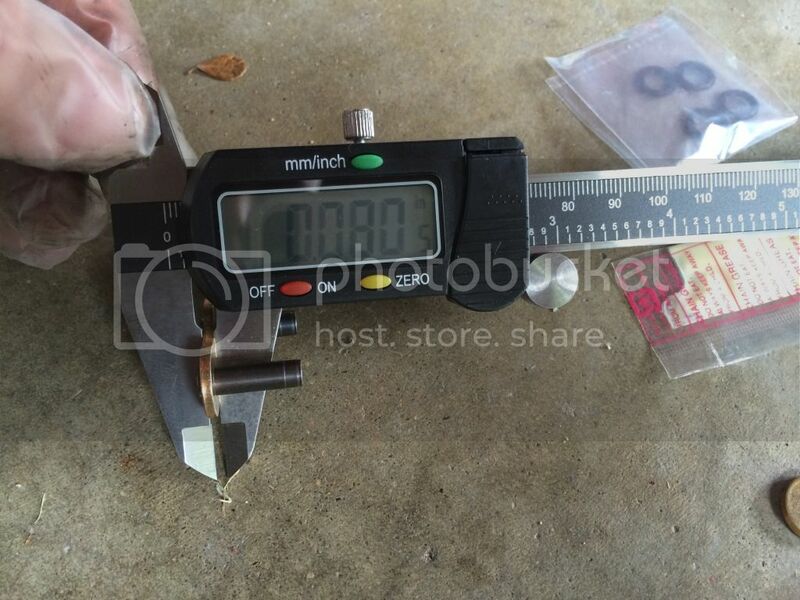 The first thing I did was measure the thickness of the outer plate for the new master link. 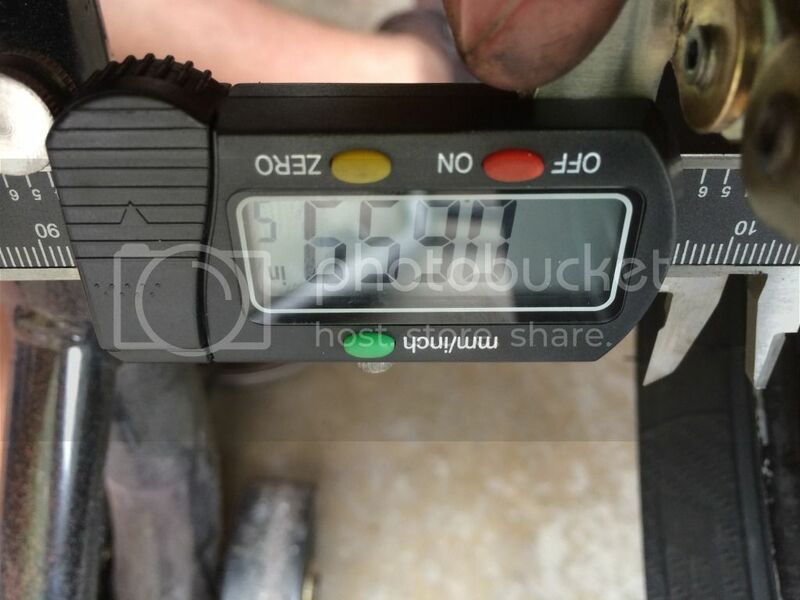 For all of my measurements I am using a cheap $11 electronic caliper that I purchased from Amazon, which can be found here. 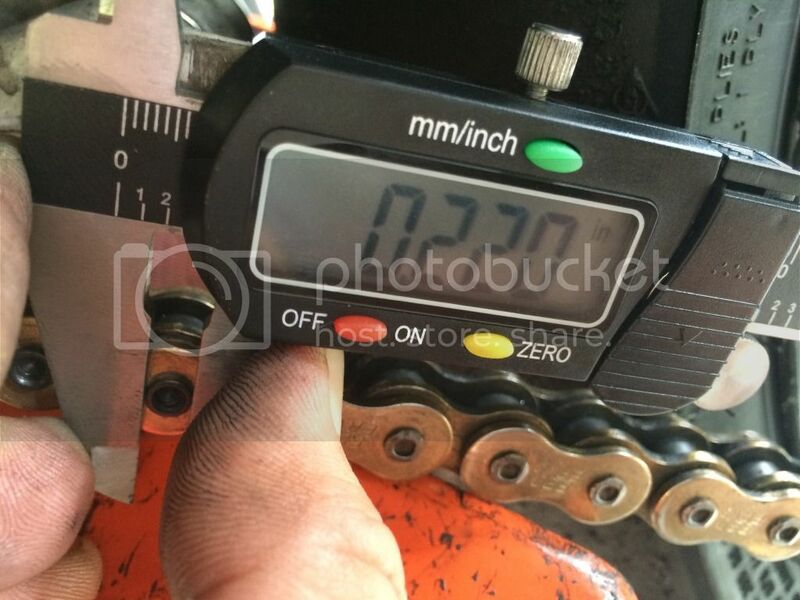 I then measured one of the outer plates on the chain to make sure they are the same thickness. The reason I did this is so that once I’m pressing the link I will know what the outside measurements need to be. They are close enough to being the same so my goal is going to be to press the master link to be the same as a standard link on the chain. 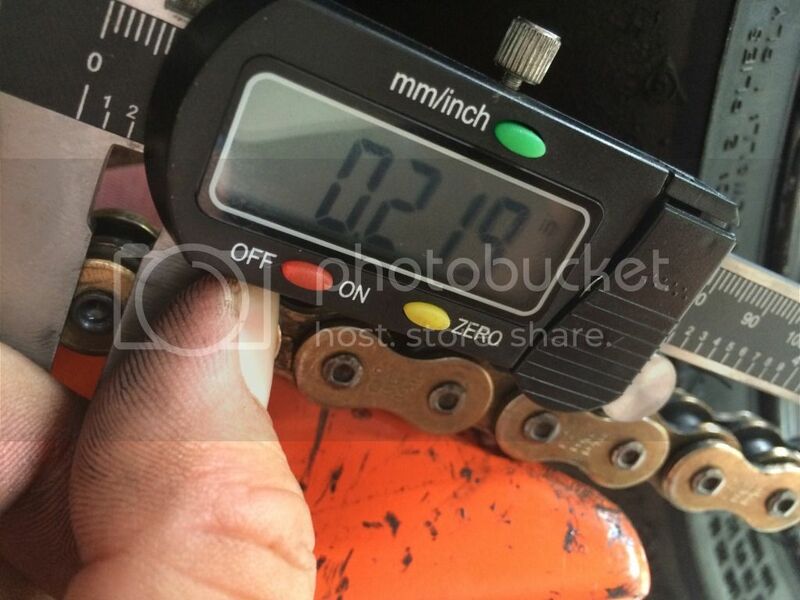 Here is what a chain link measures. So, now that I have my measurement it is time to install the link. 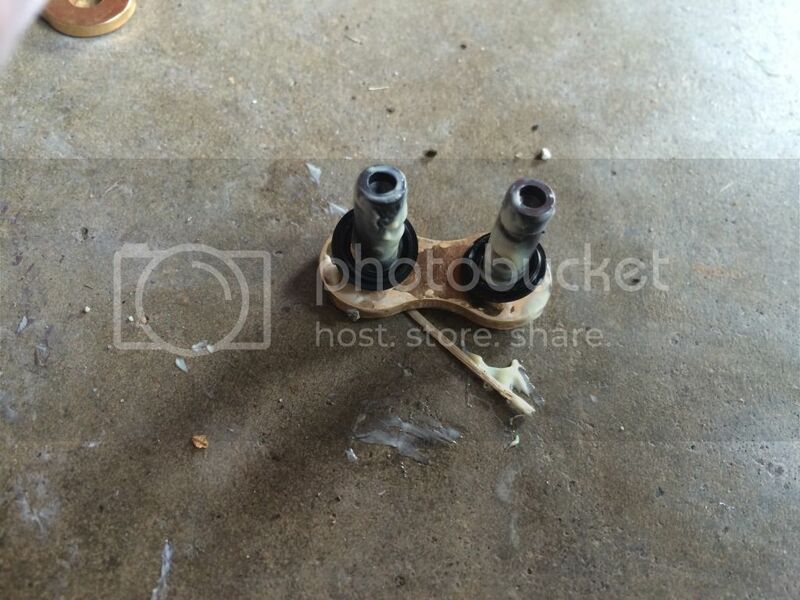 First step, grease up link with supplied grease and put two o-rings on the link. 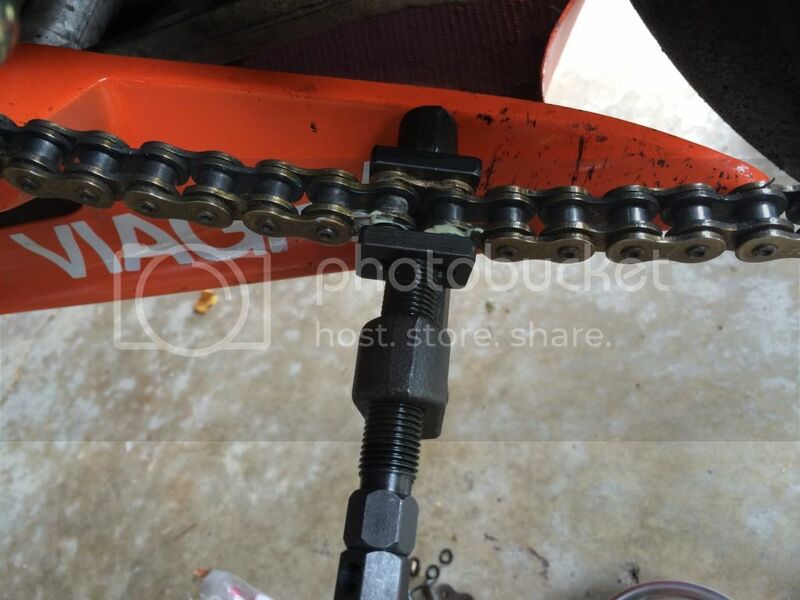 Next I loosened up the rear axle so I would have a little play in the chain, I then slid the master link into the two ends of the chain and placed two more o-rings on the link. Next just put the outer plate on the master link. 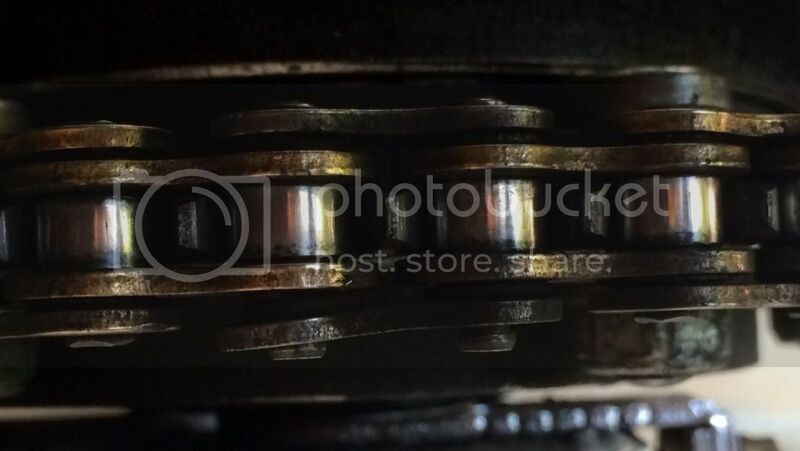 Here you can see the width of the link prior to starting the pressing procedure. 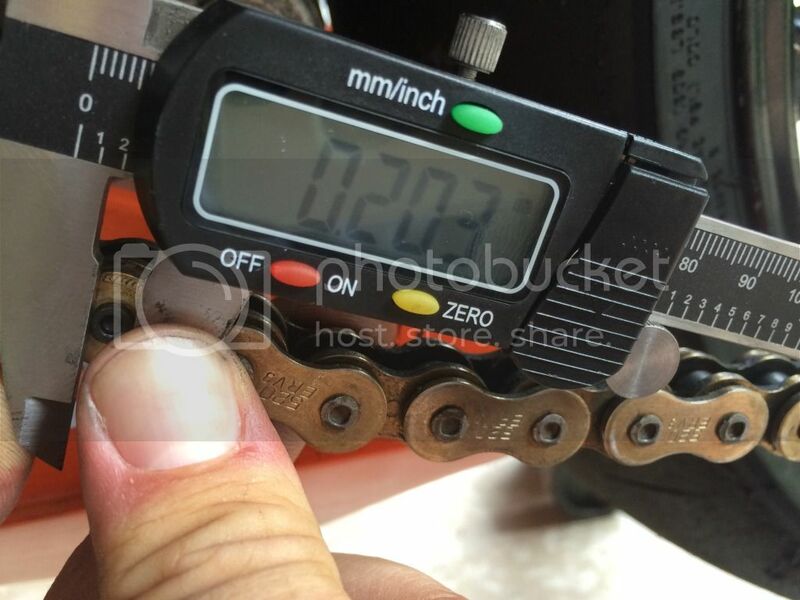 Next you use your handy dandy chain tool, which can be purchased here for around $30, to press the outer plate onto the master link. It is important to take your time on this step. If you press it to far and smash an o-ring the master link is trash. 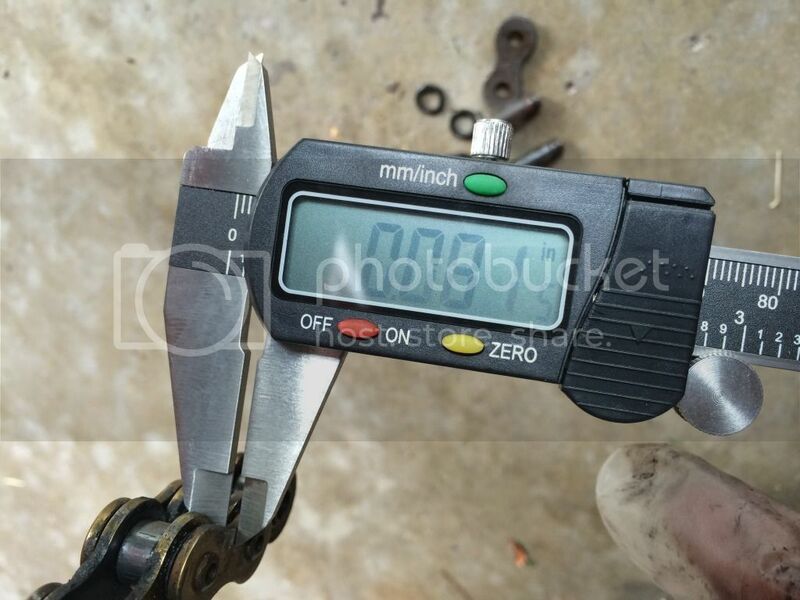 I made a couple of turns with the chain tool and removed it to check the measurements several times. After a couple of minutes and some patience, success! 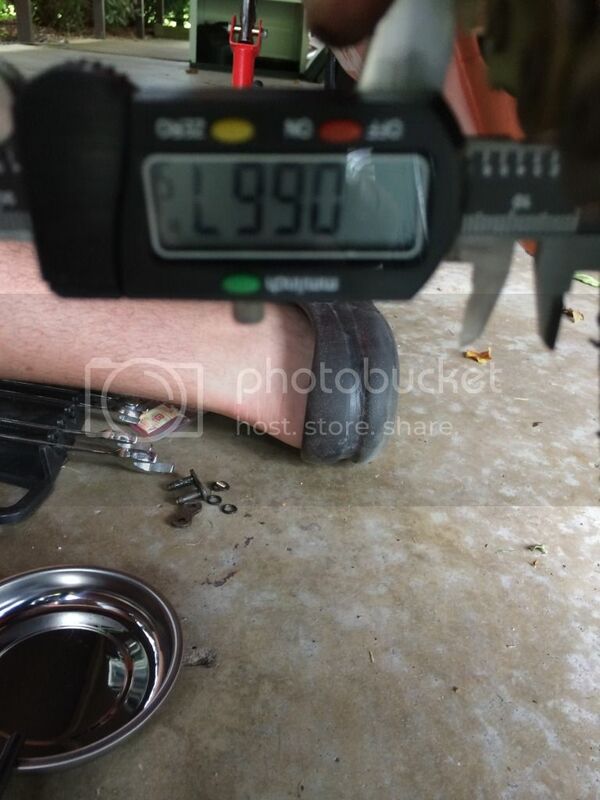 I am within 0.001″, I think that is close enough. Now that I have the chain the thickness that I want it is time to take care of the rivets. 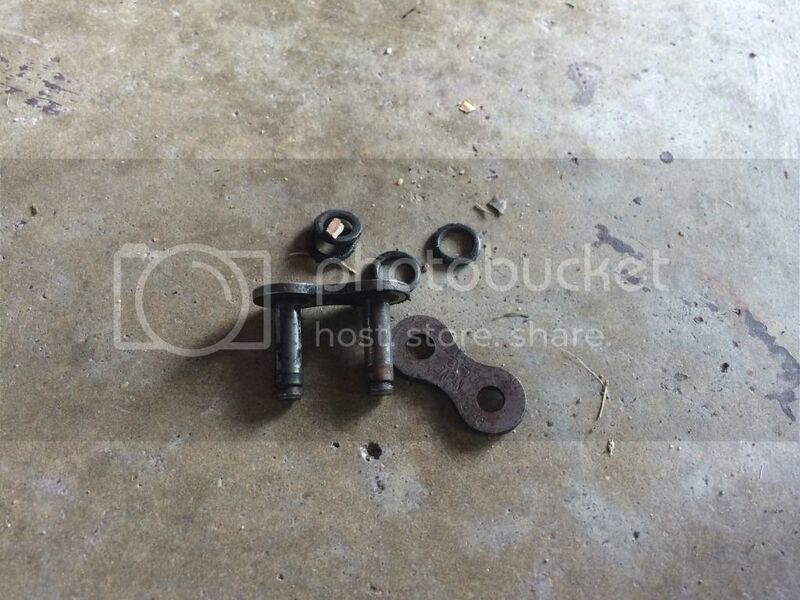 I did not get any pictures of the chain tool on the rivet but it is pretty easy to find a picture of that. The first thing I did was get online and find out what the rivets are supposed to measure once it is completed. 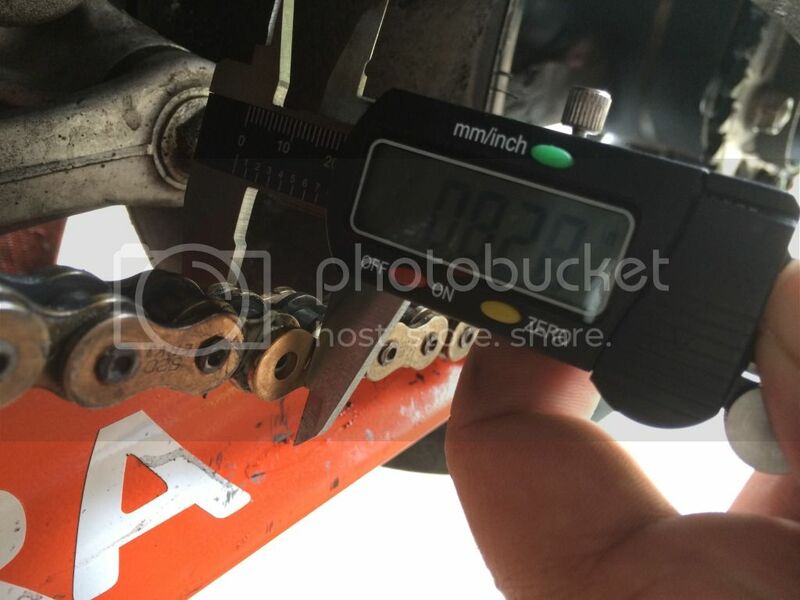 According to DID the rivets are supposed to measure 0.217″ to 0.228″. 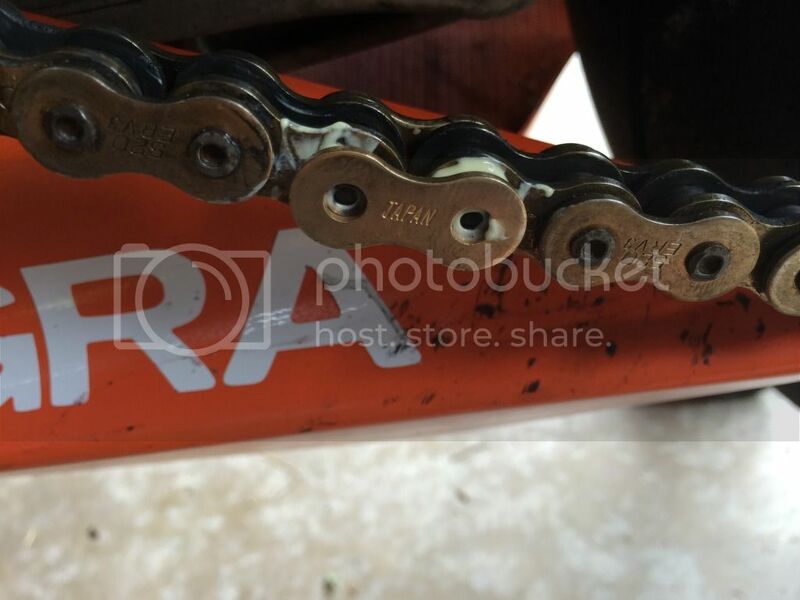 Make sure you find this number for your specific chain. Here is the measurement when I started. This is another step that you want to take your time with. You do not want to go to far and cause the rivet to crack. If you do that go ahead and grind the new link off and buy a new one then start over. I probably removed the rivet tool five times on each pin to check the measurements. I would rather be safe than sorry. Here are the numbers that I ended up with. 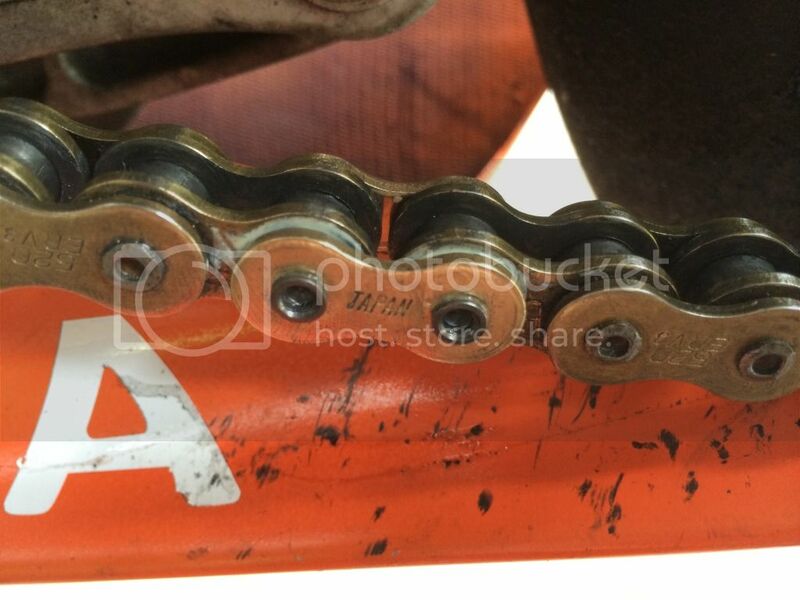 Once you are finished just move the chain around a little to make sure that you have no tight spots in the new link. If it feels good then you are done. Special thanks to @lowcel for contributing and taking extremely detailed pictures! If you have a Honda CBR Sportbike How To Article. Please post it in our Forum and we’ll add it to our blog.